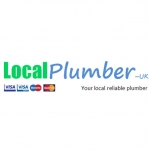 Local Plumber UK offer emergency & plumbing services with a 1 hour response time available. With no call out charges and fixed rates, we are your local reliable plumber for toilets, sink, radiators, immersion heaters and hot water cylinders. When you have a plumbing emergency on your hands a fast response from a local, experienced plumber can be the difference between a small job and expensive water damage. Don't delay your response, it might only cause more damage, always call a professional. When you choose Local Plumber-UK you know you're getting a trained professional who carries out clean and tidy workmanship in your home. Our 24 hour service means you never have to fret over emergency plumbing and our rates are always fair. We specialise in drainage systems and drainage unblocking for any type of drain in and around your house. At Local Plumber-UK we provide fully trained and professional local plumbers to get your water system flowing as it should. There are numerous reasons your drains can get blocked ranging from congealed grease and fat building up from food to damaged pipes and plumbing. The results can be unpleasant to say the least, signs you have a blocked drain include difficulty flushing your toilet, bad smells and water coming back up your pipes and drains. We offer a range of drain unblocking services for every area of your home and can also provide CCTV drain surveys to discover more problematic blockages. Call us today to arrange a quick response, we operate in East London, Essex, Suffolk, Southend, Basildon, Chelmsford and all Towns and Villages Surrounding. Perhaps you want to install a new toilet, well we can help you with the installation and ensure that everything runs perfectly. Our trained professionals are available with a quick response and will call 30 minutes before they get to your home. Whether your toilet needs fitting or needs repairs you can call us with a 24 hour service available – alternatively you can email us your details. At Local Plumber-UK we stop leaks and fix them –fast. If you call us you can get a one hour response from one of our highly professional emergency plumbers, our 24 hour service also means that whenever a water leak occurs you can have it stopped as soon as possible. Our plumbers operate throughoutSouthend, Basildon, Chelmsford, East London, Essex, Suffolk and all Villages & Towns surrounding to deliver professional and reliable repairs. To get in touch with us about fixing a water leak then call us today using the number most local to you – alternatively you can email us your details. Enter a longer description here...Although immersion heaters are being replaced by more efficient central heating systems there are still many homes which use this method of heating their water. Thermostatically controlled it can mean the difference between a hot shower and a cold one, so you don't want to leave any problems unchecked. Perhaps you need someone to repair your immersion heater or maybe you need a new one to be installed, at Local Plumber-UK we can handle the fixing and installation of immersion heaters to keep your hot water running. Our trained engineers are on hand at any time of the day to give a quick response, just call us today or send us an email with your details. We operate in Southend, Basildon, East London, Chelmsford, Essex, Suffolk and all Villages & Towns Surrounding to give clean and efficient work for our customers. The weather in the UK can be temperamental all year round as everyone knows so when you're property needs new radiators or replacement ones you shouldn't delay – you never know when winter will finally bite! Your radiators can warm feet, dry clothes and heat the entire house ready for you after a long day at work, that's why we make it our business to be radiator specialists. Whether you need an installation or you want us to move your existing radiator to a more effective position in your home our trained technicians can get the job done swiftly and safely. To learn more about our radiator services or to arrange a call out from our team then just pick up the phone today – you can also email us your details using our contact form. We offer our services in the Southend, Basildon, Chelmsford, East London, Essex, Suffolk and all Towns & Villages Surrounding. We are hot water cylinder specialists so when you choose us to carry out an installation or repairs you know you're getting a professional service from an engineer who knows what they're doing. Our team operates 24 hours a day with one hour responses for emergency repairs. Call us today if you'd like to find out more about our hot water cylinder services or to arrange a visit from one of our highly trained technicians. Our services are available in Southend, Basildon, Chelmsford, East London, Essex, Suffolk and all Towns & Villages Surrounding. By using our local plumbers you get specialists for kitchen and bathroom taps, so whether you have a leaky shower or no water coming out of your kitchen sink tap we can offer you repairs or replacements as we supply taps for all areas of the home. We are based in Southend, Basildon, Chelmsford, East London, Essex and Suffolk but work beyond in all Towns & Villages surrounding to help you with all your tap problems. Get in touch with us today either by calling the number most local to you or by emailing us your details.